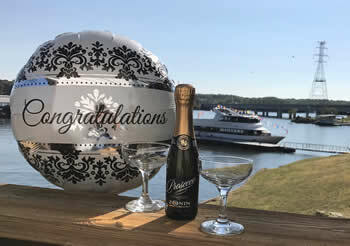 What better way to spend happy hour at Lake of the Ozarks than aboard The Celebration. Enjoy the lake, enjoy a cocktail, and experience the incredible scenery. Enjoy one of our relaxing cruises and see the attractions and gorgeous lakefront homes around Lake of the Ozarks. Birthday & Anniversary Packages Now Available! Turn right at top of ramp, and we are first drive on left. Copyright © 2016-2019 Celebration Cruises. All Rights Reserved.